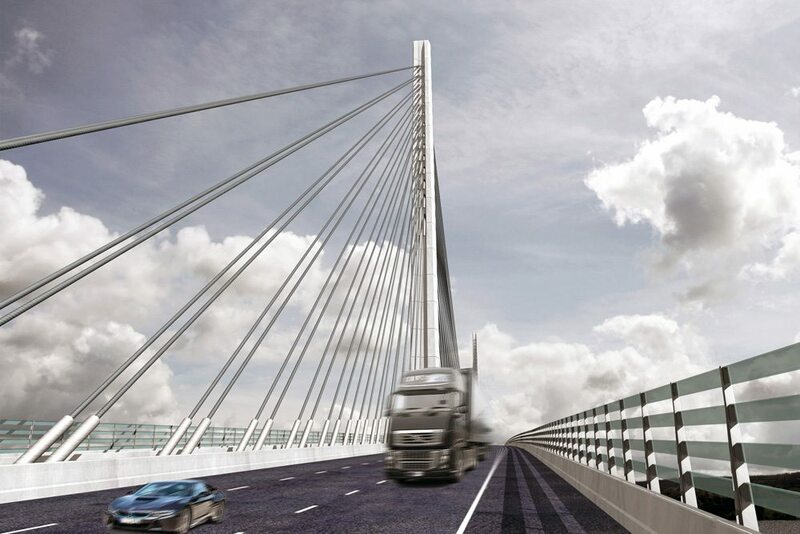 Studies for a new 14-mile (22.5km) section of the M4 motorway in South Wales were initiated in 2014 by the Welsh Government to form a southern bypass of Newport. 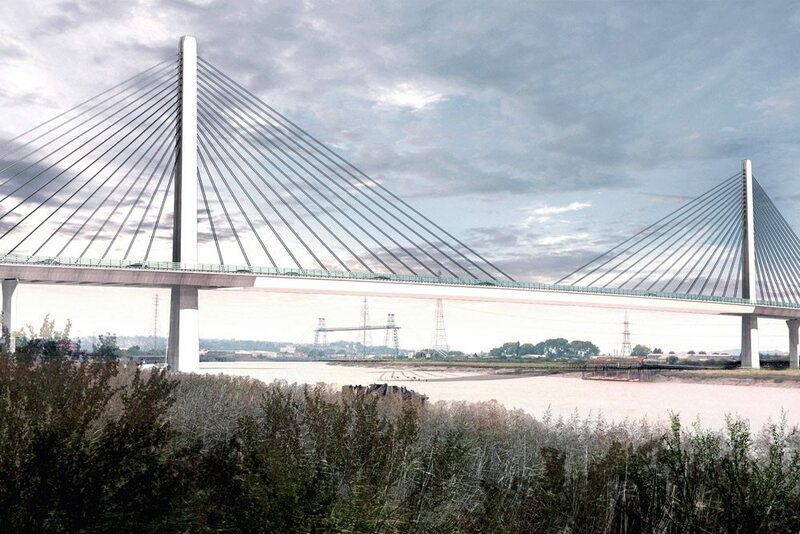 The route requires a major crossing of the River Usk as the first bridge upstream from the Severn Estuary. 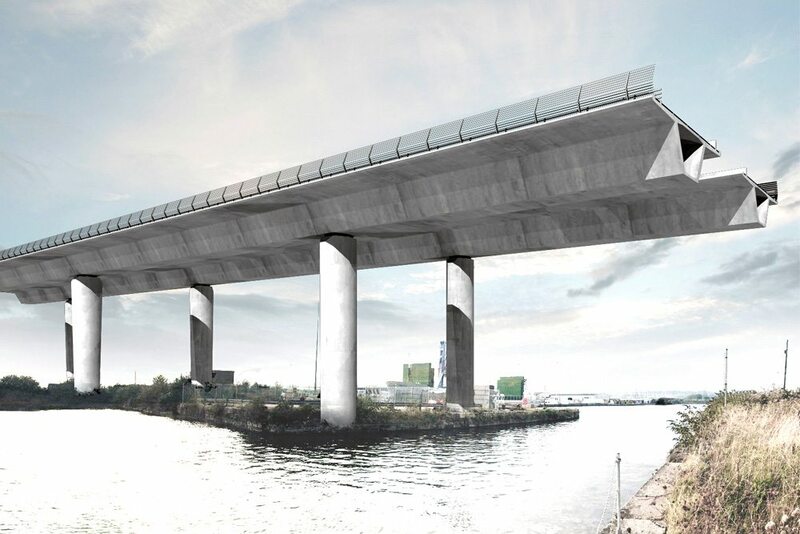 The river has a distinguished series of existing bridges, and the new bridge will form a significant gateway at the southern boundary to the city. 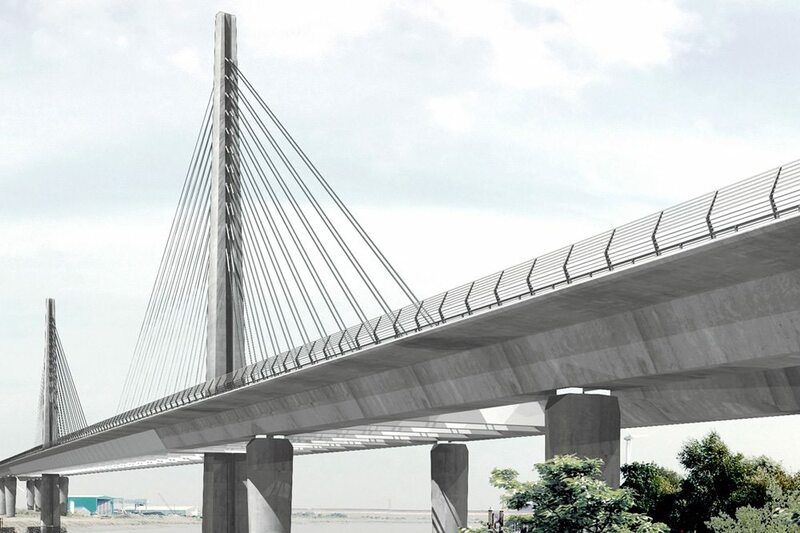 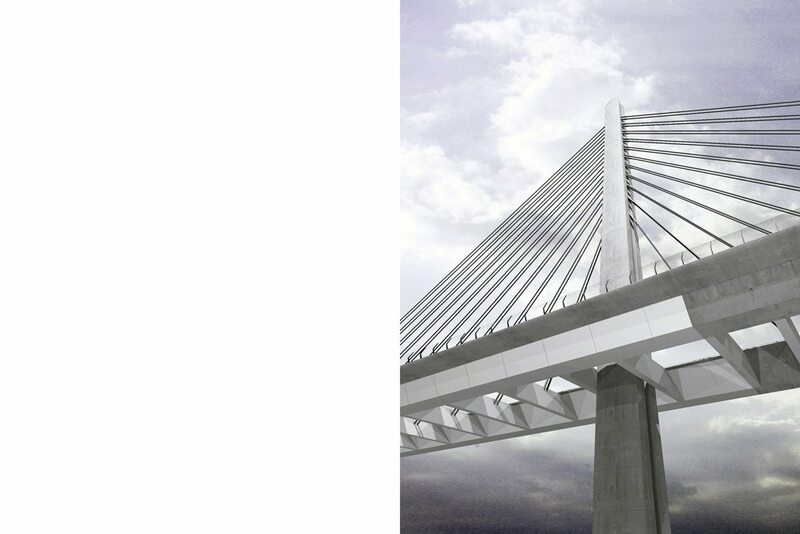 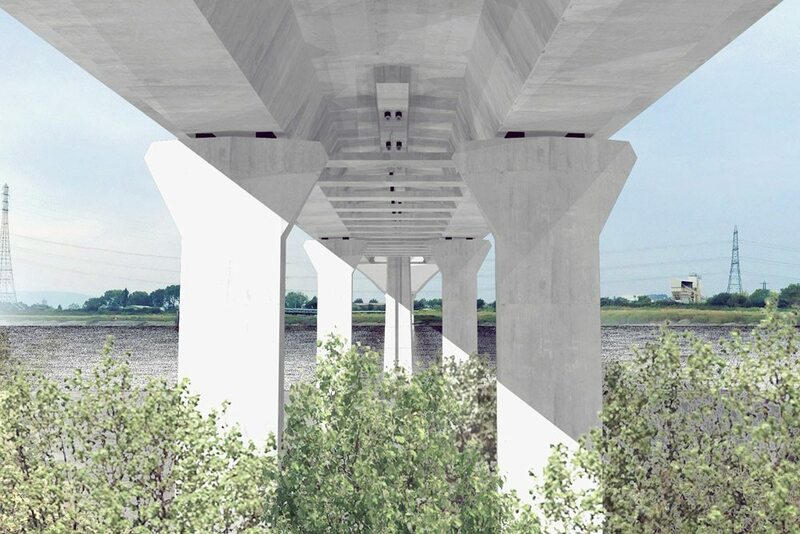 The design proposal, developed in detail for a design build-tender process, features a concrete cable-stayed bridge with 440m main span and side spans of 160m. 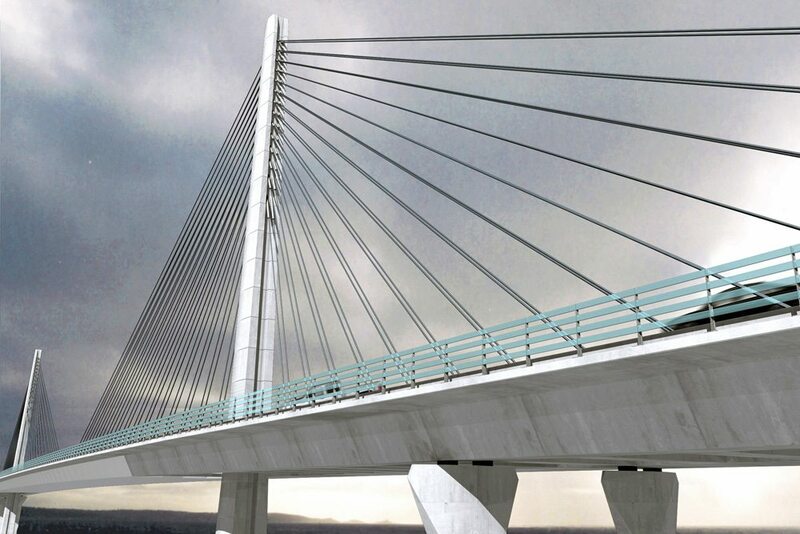 The final arrangement features central pylons supporting the deck with a single array of cables in the central median.